Mumbai, India – January 15, 2019 – InfrasoftTech, a global specialist in Fintech solutions, has been recognized with two CIO CHOICE 2019 Honour and Recognition under Emerging Technology Vendor Category. InfrasoftTech’s AI-Based Omnichannel Platform Kiya.ai and OMNIEnterprise Anti-Fraud Solution recognized under Digital Transformation Enabler and Artificial Intelligence subcategories. This prestigious recognition was presented at the exclusive Red Carpet Night, a celebration of innovation and excellence in the ICT ecosystem, produced by CORE Media. 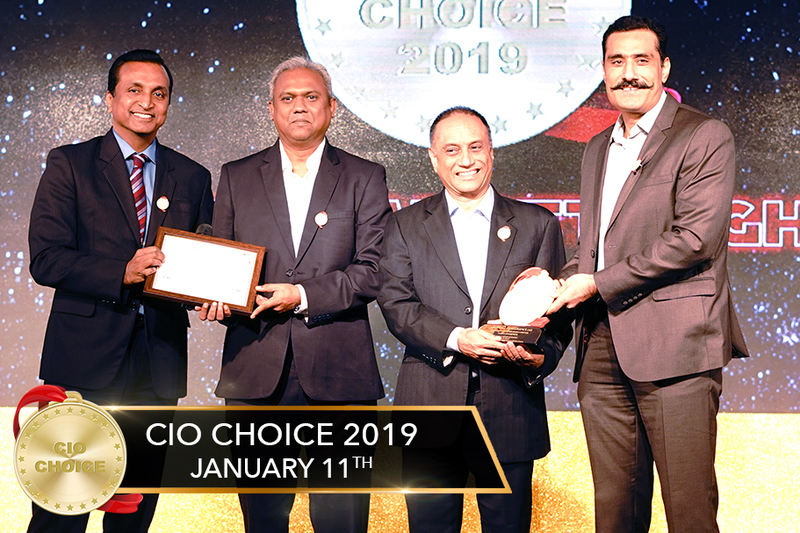 With over 300 ICT leaders in attendance, CIO CHOICE 2019, held at The Lalit, Mumbai, was a star-studded affair with some of the country’s most high-profile CIOs taking to the stage to confer the recognitions and applaud the brands voted as the most trusted ICT partners. Kiya.ai, an integrated AI-based Omnichannel and Open API Banking platform designed to automate and enhance banking engagements and customer relationship. The platform leverages AI technology to create an insight-driven and secured interface between a financial entity and end consumer to deliver banking functions seamlessly over Web, Mobile Devices and Conversational UI channels. “We are an innovation-led customer-centric organisation and this recognition reflects our commitment in delivering an advanced suite of digital solutions & services to help our clients in driving digital transformation”, says Anil Mookoni, Head Digital Payments & Solutions. He further added that the CIO Choice 2019 adds more value to our customer-centric strategy and commitment in delivering an Omnichannel experience. Furthermore, OMNIEnterprise Anti-Fraud Solution is an enterprise-wide solution enabled with AI and Cognitive Analytics to efficiently manage risk and mitigate frauds in real-time. The solution also enables enhanced control on internal KYC guidelines while analyzing & managing the organization’s risk and compliance health check-ups. 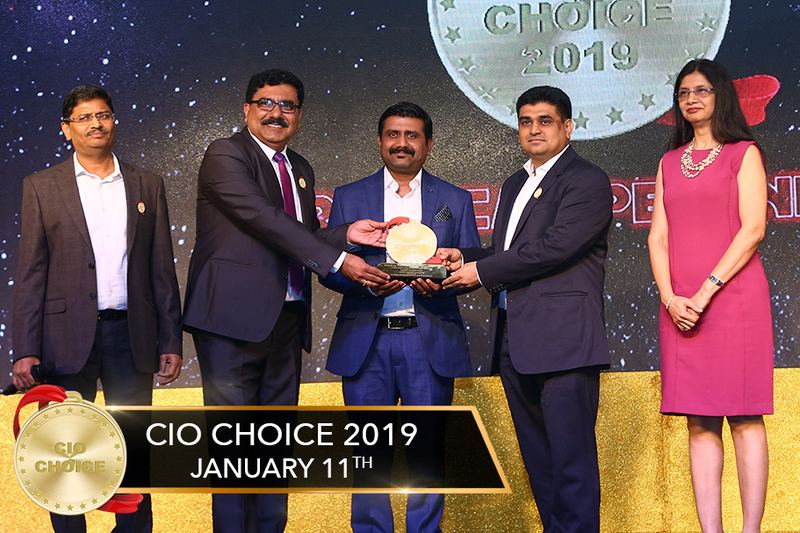 “We are delighted and honoured to have won the CIO Choice 2019. This recognition further strengthens our determination in providing innovative compliance solutions and reinforce our leadership position in the RegTech Solutions vertical. On behalf of InfrasoftTech, we would like to thank all the CIOs who have voted for us and made us their preferred partner”, says Amit Sharma, Head Products. InfrasoftTech, a leading FinTech digital solutions provider for the banking and financial sector. With our experience of providing financial solutions to 450+ global financial enterprises across 48 countries, we transform businesses by enabling them with state-of-the-art solutions to accelerate and navigate their digital transformation. Our AI-based Omnichannel platform “Kiya.ai” create an insight-driven and secured interface between a financial entity and end consumer to deliver banking functions. Our OMNIEnterprise RiskTech suite of solutions enhance risk management & regulatory compliance using AI and Cognitive analytics. These comprehensive suites of solutions manage regulatory changes, anti-money laundering, enhanced due diligence for customers (EDD), risk reporting, anti-fraud and tax compliance reporting for financial services firms including banks, intermediaries, insurance firms and NBFCs.